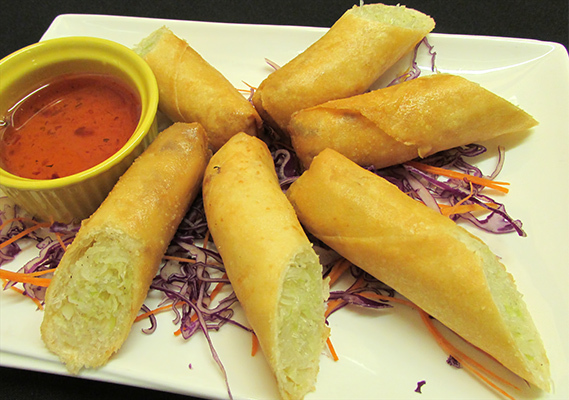 MANOLA'S THAI -100 % LOCALLY OWNED AND OPERATED. 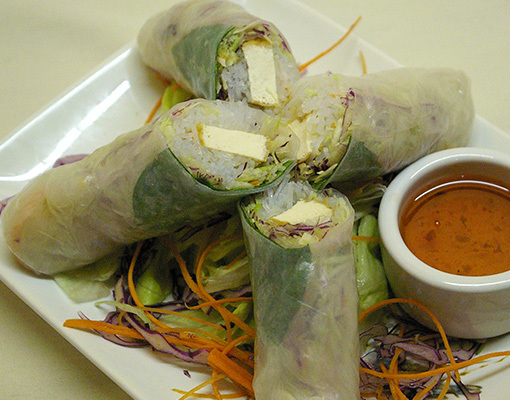 WE OFFER SOME OF THE FINEST AND MOST EXOTIC THAI FOOD IN THE AREA. TRY OUR ALREADY FAMOUS PEANUT SAUCE CURRY, OUR MADE TO ORDER THOM KAA SOUP, MASSAMAN CURRY ,CRISPY ROASTED DUCK AND FRESH SALAD ROLLS. 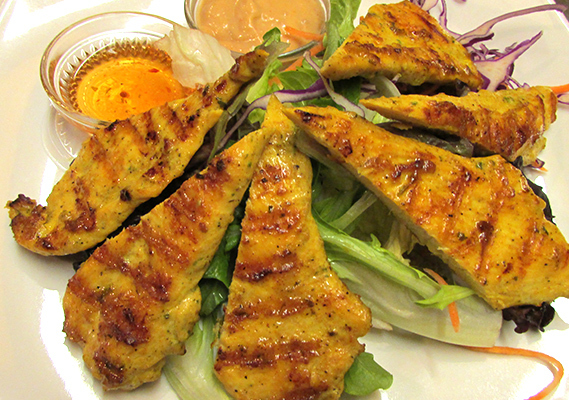 WE HAVE A GREAT SELECTION OF VEGETARIAN DISHES AS WELL AS HEALTHY OPTIONS SUCH AS BROWN RICE, TOFU, AND TEMPEH. WE OFFER LOCAL WINES AND BEERS. LOCATED AT. 652 E. Broadway Eugene, OR, US, 97401. WE OFFER DELIVERY TO EUGENE, OREGON AND SURROUNDING AREAS. No substitutions please! We do not use MSG in our dishes! Fried wontons chicken served with our homemade plum sauce. with glass noodles, cabbage, carrots, tofu, and fresh basil. Served with plum sauce. CHICKEN and vegetable pot stickers served with dipping sauce. with glass noodles, and cabbage. Served with our own homemade plum sauce. 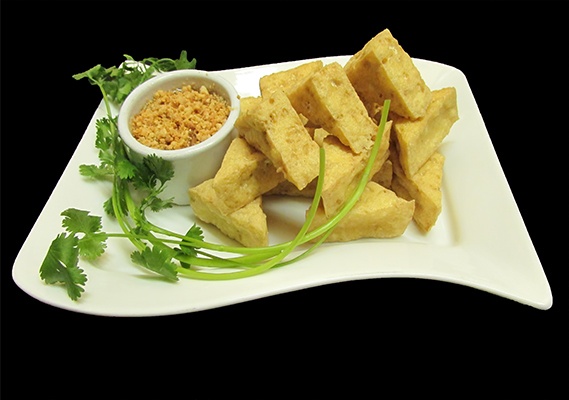 Fresh organic tofu slices gently deep fried to golden brown and served with a side of plum sauce with crushed peanuts. in a mixture of Thai spices, herbs, and coconut milk. Served with homemade plum sauce and peanut sauce. 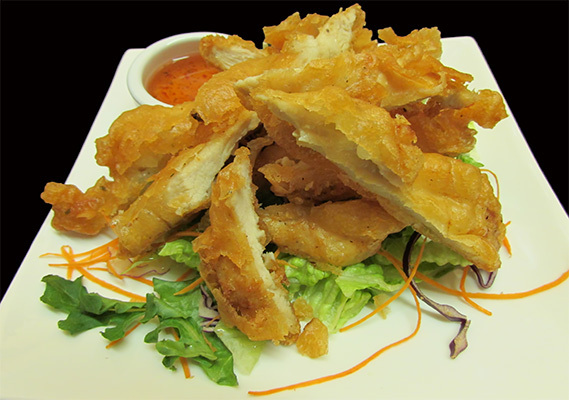 Marinated chicken breast in Thai seasonings and dipped in our tempura batter and deep-fried. Served with our homemade plum sauce. Shrimp dipped in our tempura batter, coconut flakes, and deep-fried. Served with our homemade plum sauce. 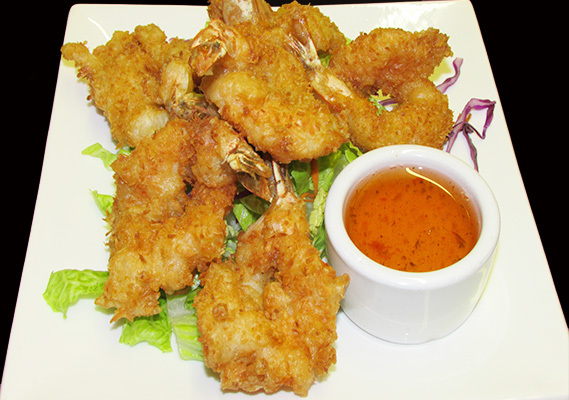 Shrimp dipped in our Rice Tempura batter and, deep-fried. Served with our homemade plum sauce. 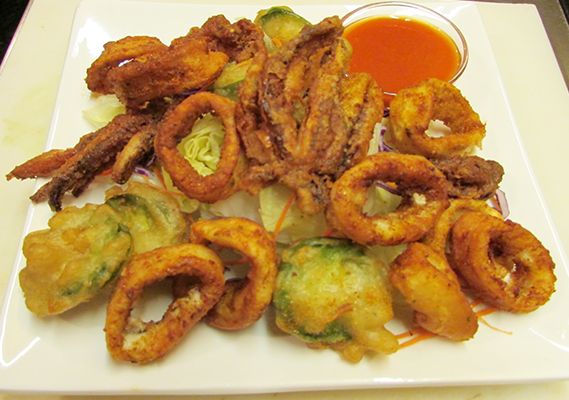 Deep fried calamari with crispy jalapeno and spices served with Thai hot sauce. Deep-fried calamari served with a side of Thai chilies hot sauce. Computer gives an estimate distance in a straight line so your delivery fee might be different check store for details. We always trying to get to you as fast as we can.